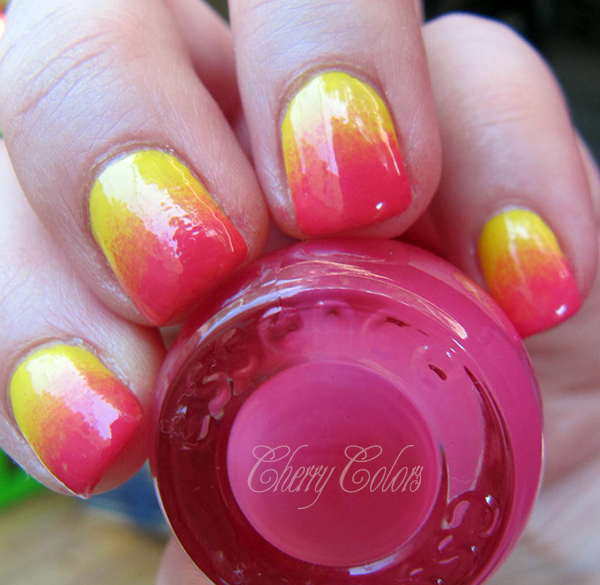 NOTD: Yellow and pink gradient nails - Cherry Colors - Cosmetics Heaven! 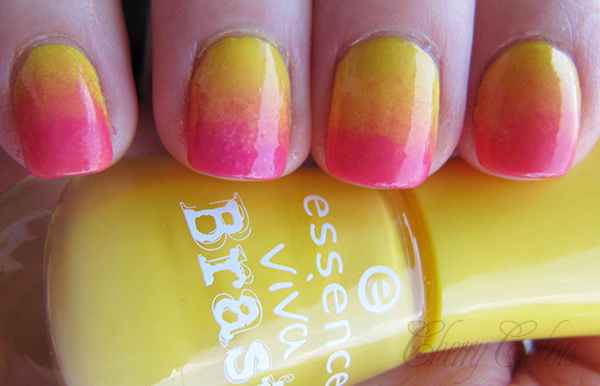 I recently discovered that I actually want to do more nail art.. and for the start here is a very simple, yet fun manicure - a gradient! The only downside? 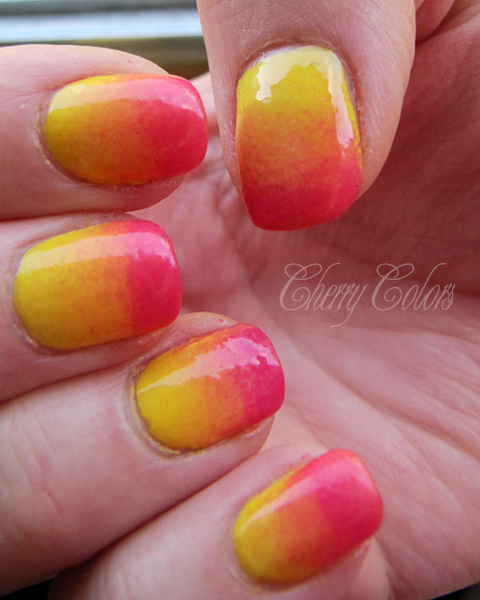 I really hate waiting for the polish to be 100% dry before doing any kind of nail art. I did my cleanup with acetone and a brush. The brush is a bit big, but does its job well.. we'll see how it will go in the future :). 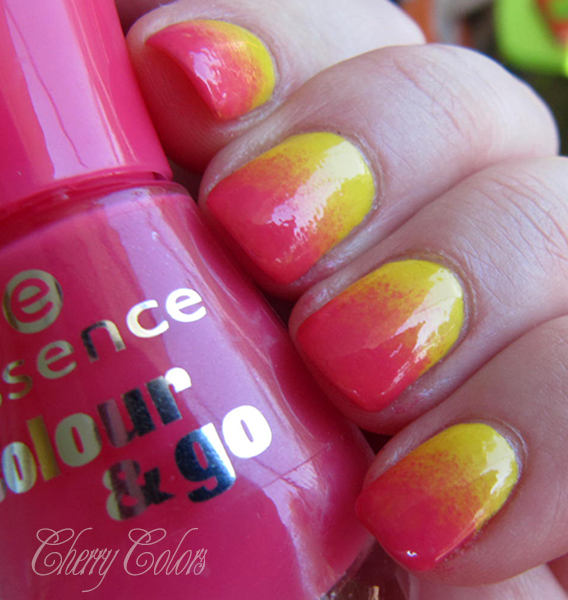 Are you a fan of gradient nails?